Very low LDL cholesterol levels linked to stroke risk. Cholesterol is a notorious word associated with bad cardiovascular health and every one is consciously or unconsciously inclined to reduce it by exercise,diet control or medicines. LDL cholesterol is called bad cholesterol because it can lead to fatty build-up in the arteries.It is therefore medically advised to reduce low-density lipoprotein (LDL) cholesterol in order to decrease the risk of heart attacks and stroke, with an ideal value below 100 milligrams per deciliter (mg/dL). Hemorrhagic strokes, are much less common than ischemic strokes and are also more difficult to treat and therefore more likely to be deadly. The researchers conducted the study to examine the association between lipid levels and hemorrhagic stroke risk among women.They found that very low LDL, or “bad” cholesterol, and very low triglycerides are associated with an increased risk of hemorrhagic stroke. The researchers reviewed data on total cholesterol, LDL, HDL (“good” cholesterol) and triglycerides for 27,937 women. Strokes were confirmed by medical record review. They used Cox proportional hazards models to analyze associations between lipid categories and hemorrhagic stroke risk. 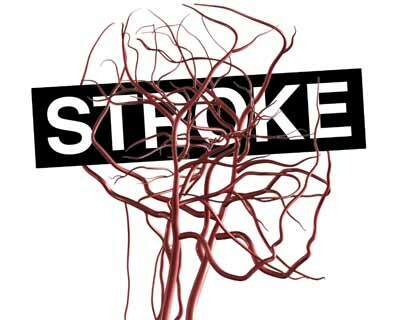 During an average follow-up of 19 years, there were 137 hemorrhagic strokes. Nine out of 1,069 women with cholesterol 70 mg/dL or lower, or 0.8 percent, had a bleeding stroke, compared to 40 out of 10,067 women with cholesterol 100 mg/dL up to 130 mg/dL, or 0.4 percent. After adjusting for other factors that could affect risk of stroke, such as age, smoking status, high blood pressure and treatment with cholesterol-lowering medications, researchers found that women with LDL levels below 70 were more than twice likely to have a bleeding stroke. They observed no significant associations between total cholesterol or HDL-C levels and hemorrhagic stroke risk. The investigators concluded that LDL-C levels <70 mg/dL and low triglyceride levels were associated with increased risk of hemorrhagic stroke among women. What to believe is a problem. Now you want LDL not to fall below 70mg%. Khate pite log acche lagate hai ?